This is not really a barbeque recipe but I like the way the cottage cheese melts lightly when grilled just before you serve them. It's also a substantial dish to add to a barbeque menu. Serve them with burger buns to make veggie burgers. 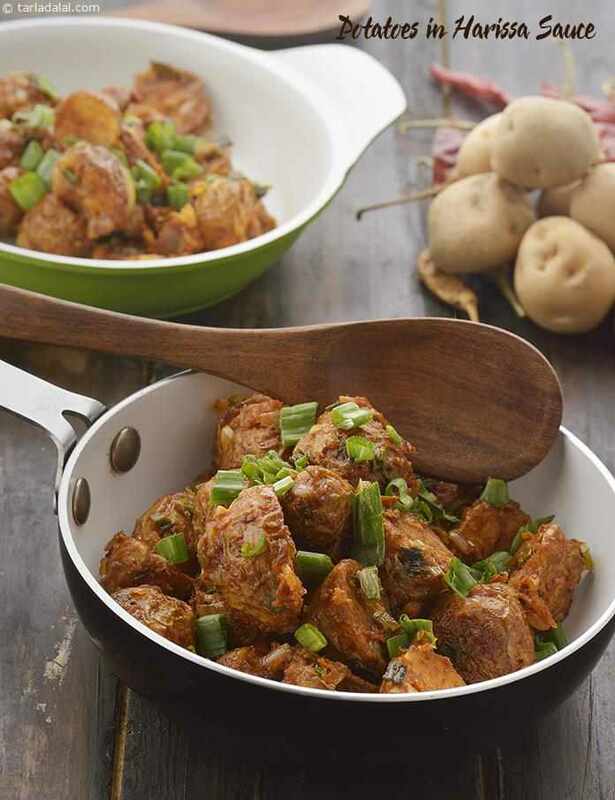 Fun-filled baby potatoes share the stage with calcium rich paneer in this lovely and lively chaat. The lemon juice and chaat masala lend their tangy touch to the otherwise bland ingredients.